A Scotsman, An English Muslim and an American Counter-terrorist Agent walk into a bar…. At first glance my cast list looks like the setup to a bad (and potentially racist joke), but that’s what happens when you set out to write a novel featuring a gifted Scotsman, a disillusioned Englishman, who becomes a prized asset of al-Qaeda and a revenge-obsessed mother who happens to be America’s most lethal terrorist-hunter. The original idea for Naebody’s Hero came in the middle of the night as I lay happily in a wee farmhouse in a valley in the mountains of Barga, Italy. I got half-dreaming about a damaged wee foster kid, yet to be named, who had Superman’s powers. Not actually Superman, but real powers just like his, here in the real world in the possession of a very damaged but very likeable wee guy from a mining town in North Lanarkshire. What would a person with those abilities think? Easy, they’d think that they were insane. I’d been caught out in the past, drifting off to sleep, thinking that I’d remember these type of ideas in the morning, so I got out of bed and typed down a rough outline of the book for an hour. I entertained all manner of ideas that night and typed them down, almost none of which appeared in the final book, then forgot about it for eighteen months. During that time I wrote my debut novel, Bobby’s Boy and published a short story collection as Paddy’s Daddy. 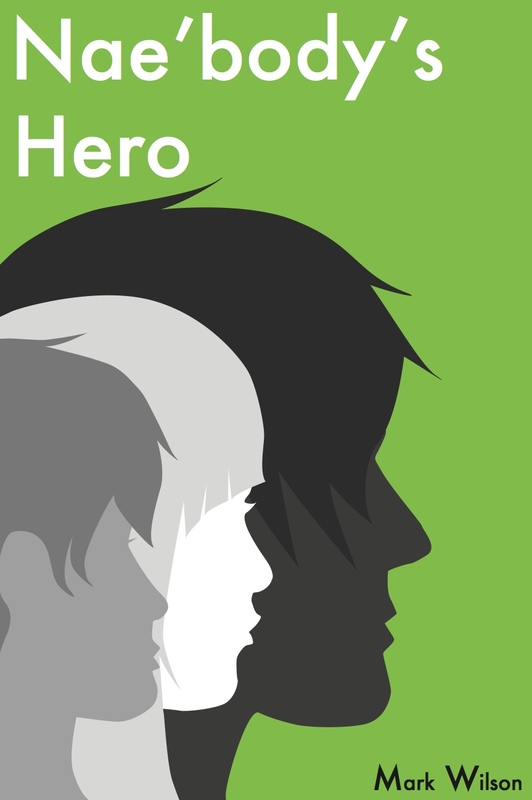 Writing these two projects gave me the skills and confidence to tackle a book like Naebody’s Hero. The book evolved into a global thriller. My little Bellshill lad had to leave his hometown and become a part of a larger would. Pakistan, Afghanistan, France, America and many other nations became his stomping ground and home for a short time. He also needed two other main characters to travel on parallel paths which would ultimately converge and diverge with and from each other. I gave him Arif Ali, my favourite character in the book. Sick of the stereotypical Jihadist-type of Muslim that we are presented with endlessly in print and on screen, I wanted to show another side to a Muslim character. With the pressure of his dual-nationality, his courage, basic human decency and humour, Arif is the ultimate hero of the novel but most readers will give Rob that role. I also gave him, Kim Baker. Kim’s a bad-as. Kim’s the female lead character I always wanted to see in a novel; disciplined, in charge, deadly, grief-stricken, kind, cruel and above all complex. The three collide and carry along on their shoulders the very best book that I could write fort you…to date. Naebody’s Hero is free on Kindle from Tuesday 29th January until Saturday 2nd February. Click on the links below to download your copy. It’s felt like depression’s reared its ugly head once more this last couple Of weeks. Wanting to cry, knackered all the time and feeling like nothing’s being accomplished. Futility with no exit. On this occasion, though it’s just the all consuming, in a bubble, exhaustion of having a newborn at home. Add in work being particularly hard at the moment and publishing a book this week, and you have a perfect storm of fatigue that makes you nod off mid-conversation. Being a new parent again is not unlike deepest depression but one big gummy smile lifts your heart more than a good dose of citalopram ever could. Tonight a wee haggis, neeps and tatties dinner on Burn’s Night made me feel very happy, warm and happy with my lot in life.